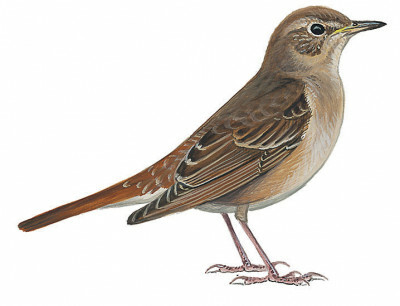 Easily confused with Thrush Nightingale. But this species is paler and closer to grey brown colour with pale streaks on chest. Tail colour is rusty brown and eye ring is pale. Found in areas rich in trees and bushes, particulary lin town/city gardens and also in semi desert areas with plenty of shade cover.